March always brings with it the wind. Sometimes very gusty, strong winds. This week has had several days of that, so I decided it was time to photograph the wind. 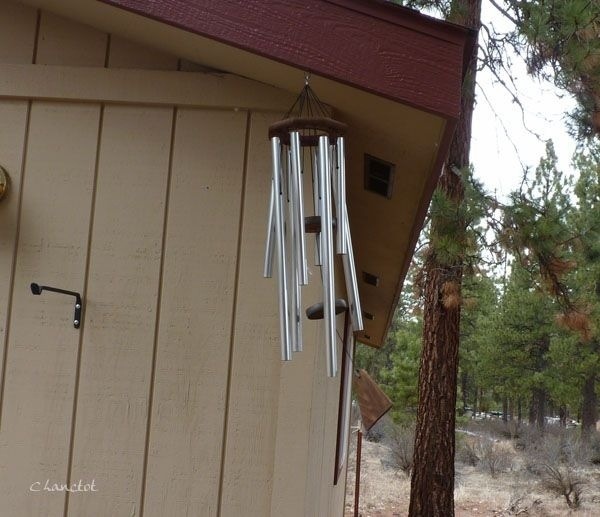 The wind chimes sing happily when the wind blows. Do you see it? Perhaps now? Do you hear them? Today it is not a solo, but a chorus. Ahhh, the big note at the end. 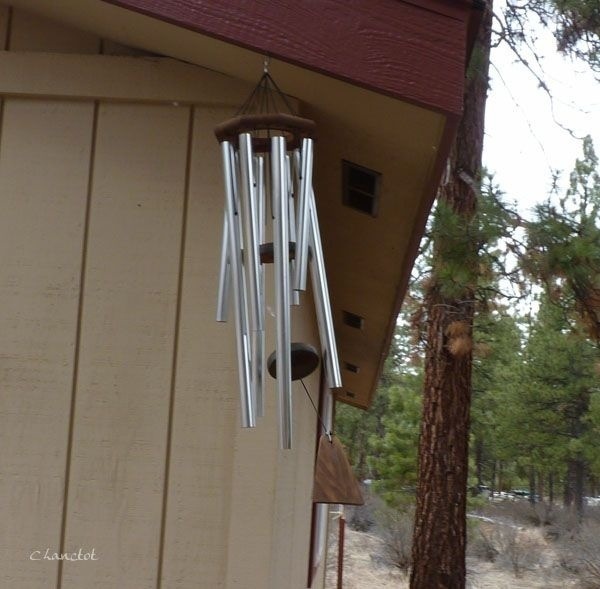 I think the chimes have been watching American Idol, singing loud, singing strong, welcoming the wind. 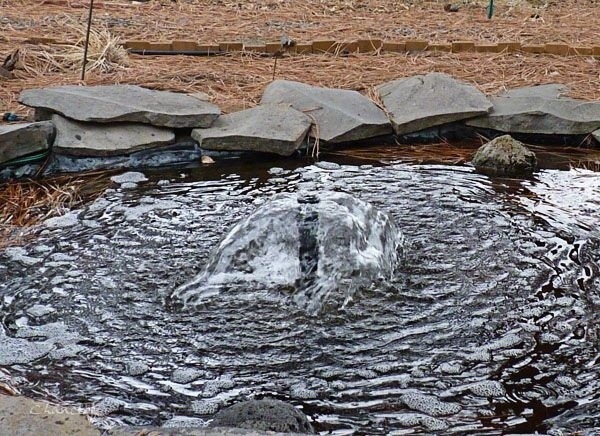 The fountain water feels the wind. Do you see it yet? 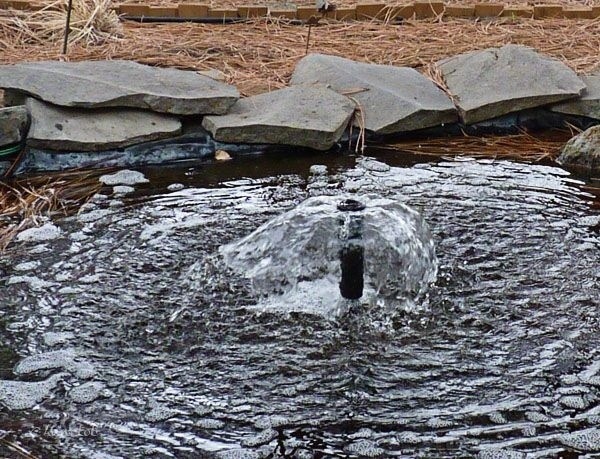 The fountain water dances in the wind, a modern ballet. Or perhaps the quick step. This way and that, moving with the wind. What? You say you’re not seeing the wind? Oh my! Okay, we have one last attempt at photographing the wind. See it now? This dance is, I think, the fox trot. While the chimes have been watching American Idol, the fountain has been watching Dancing With the Stars. 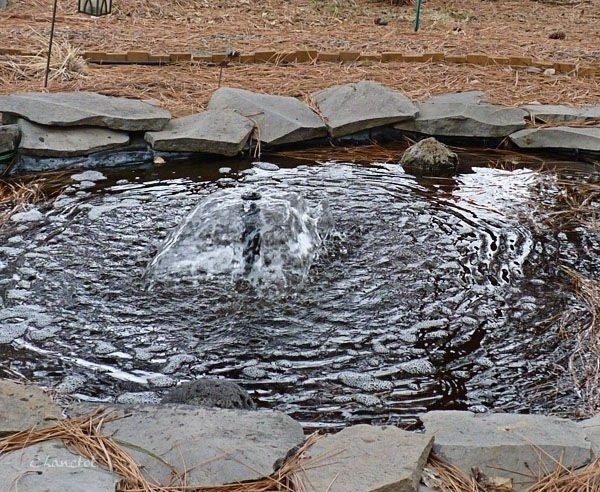 The fountain also welcomes the wind, the wind letting the fountain display it’s talent and frolic in dance for a bit. Every story has an ending. Many stories have a lesson. This is the ending of this story, the lesson learned was that the wind, like life, is elusive. Hard to explain or define in a photo. Changing directions at will. I love the sound of singing wind! This post made me smile – and yes, I could see the wind. 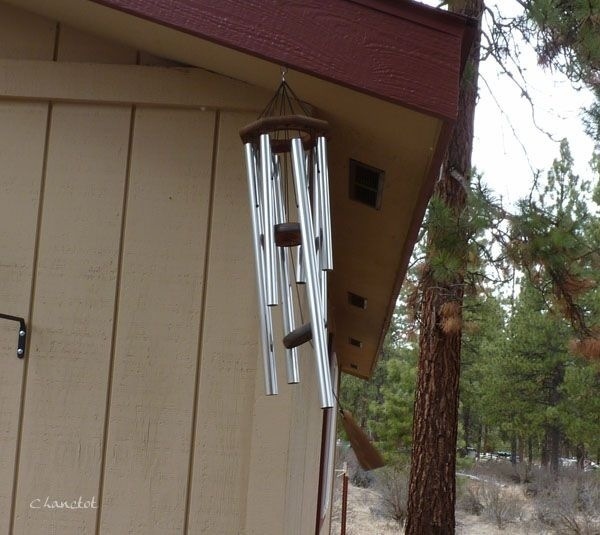 What a cool idea to photograph something as elusive as wind! You did a nice job! Wow, who would think of trying to capture the wind on “film”? Your photos say it all. I guess March goes out like a lion after all. I found your comment in my spam folder – I’m not sure if Akismet is being overzealous or if it has to do with the WordPress “improvements” on commenting (which I strongly dislike), but I followed your comment to your blog and the video – a haunting rendition of the poem, I think. The poem is charming. It does take video to truly capture the wind, but that would be just too easy you know. You are a brave soul to blog about the wind. I do think you may have captured its spirit–for a blowing moment. You are so right to compare life to wind. Capricious and hard to capture, indeed. An elusive lesson, but always applicable. We’ve had horrendous wind here as well. it’s a wonder anything has blooms on it anymore.